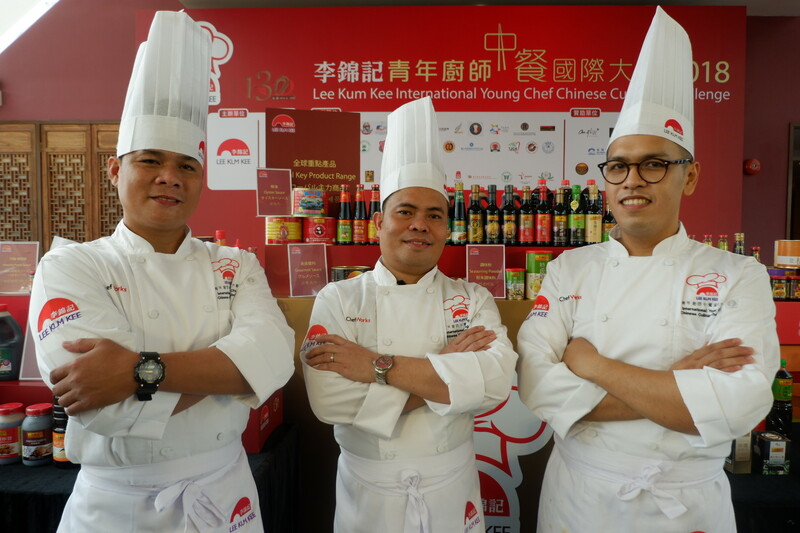 COVER PHOTO: Three Pinoy chefs—Chef Elmar Ruelo of Wangfu and Chef Joel Aroy of King Chef and Chef John Flores of Grand Convention Centre Cebu — won bronze awards at the recently concluded Lee Kum Kee International Young Chef Chinese Culinary Challenge 2018. Held in Hong Kong on September 19 and 20, 2018, the competition welcomed 42 aspiring young chefs from 17 countries and regions in a contest where each participant was asked to create one dish in 90 minutes using designated ingredients paired with Lee Kum Kee sauces and condiments. During the dinner, Lee Kum Kee Sauce Group Chairman Mr. Charlie Lee announced that the company was establishing the Lee Kum Kee Hope as Chef Charitable Foundation with the aim of lifting the group’s key corporate social responsibility program “Hope as Chef” to a new stratum. The Hope as Chef CSR program, launched in 2011 in manifestation of the group’s core value of “Si Li Ji Ren” (Considering Others’ Interests), supports youths from less developed regions who wish to become chefs by providing them with professional Chinese culinary training. Lee Kum Kee was established in 1888 when its founder Mr. Lee Kum Sheung invented oyster sauce. With a glorious history of 130 years, Lee Kum Kee has become a household name of Chinese sauces and condiments, as well as an international brand and a symbol of quality and trust. Lee Kum Kee has straddled three centuries and become a globally renowned Chinese enterprise offering over 200 choices of sauces and condiments to over 100 countries and regions. For more details, please visit www.LKK.com .